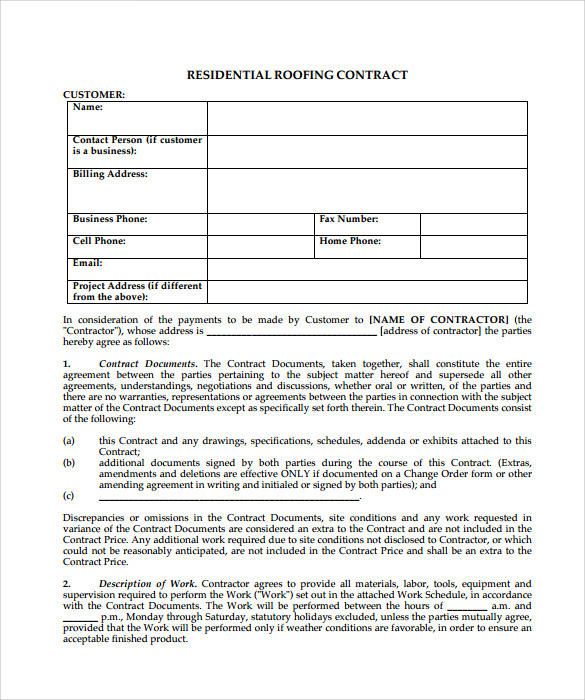 Roofing is a service provided to get new roofing or old roofing repaired in a right way. 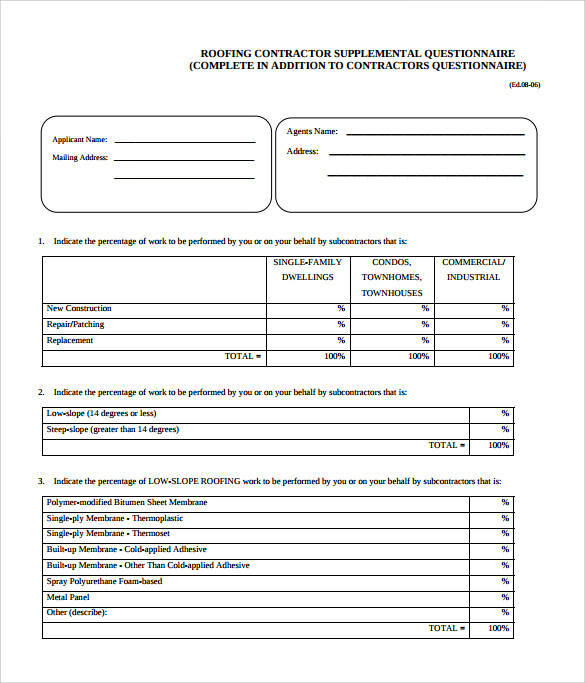 This is completely for a professional use so that before getting the service, recipient knows the clauses. 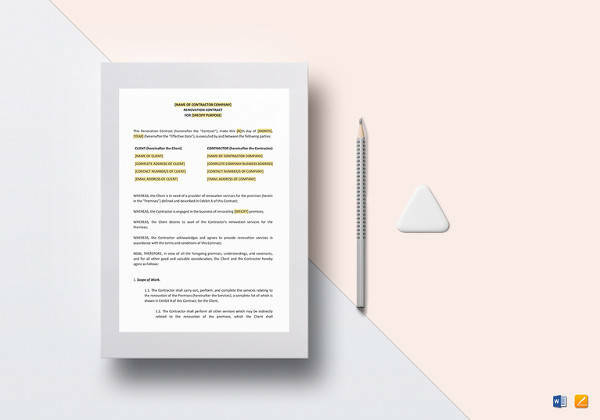 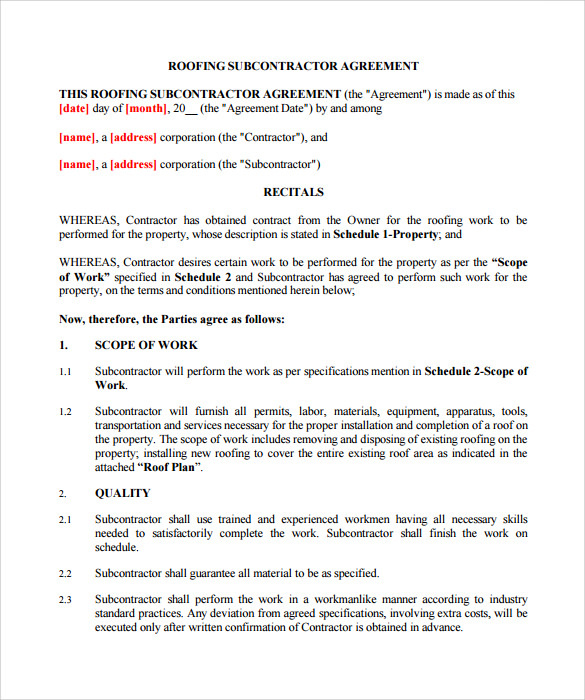 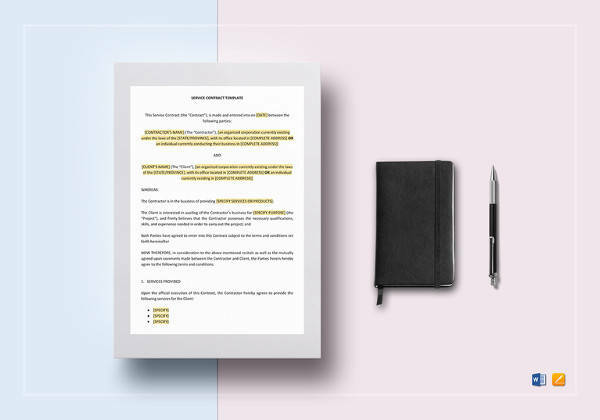 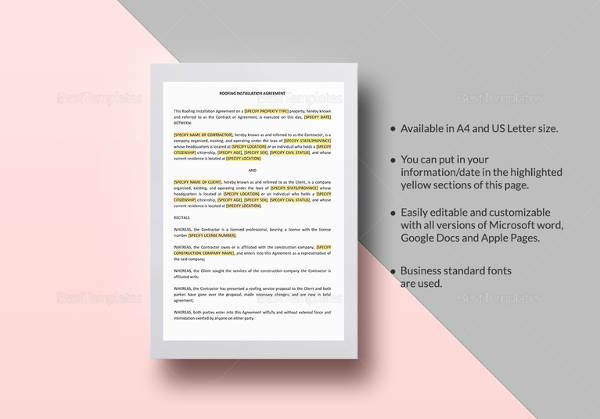 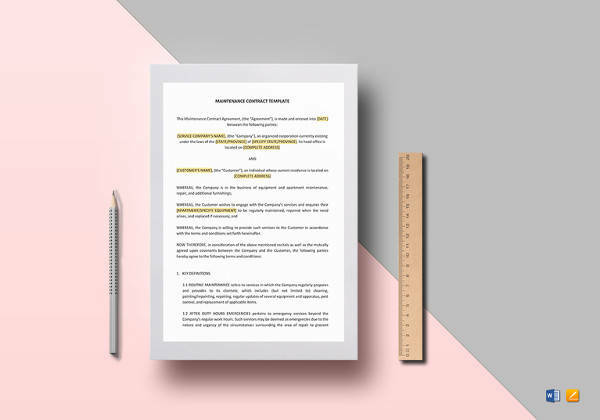 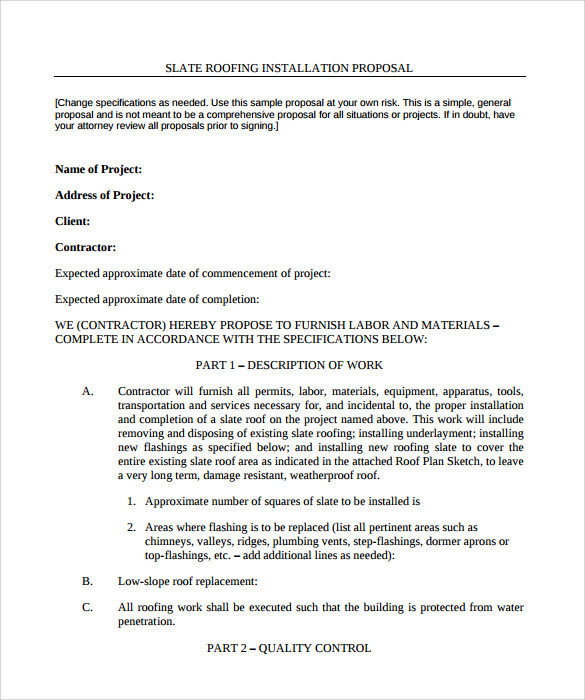 This Remodeling Contract Templates includes details like Service briefing, Warranty, and etc. 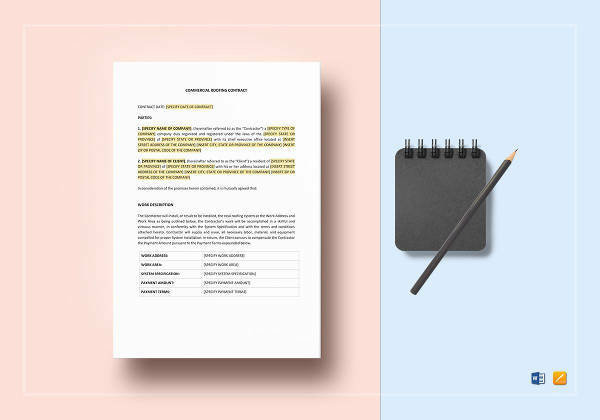 Basically everything is written in a clear way so that there is no confusion later. 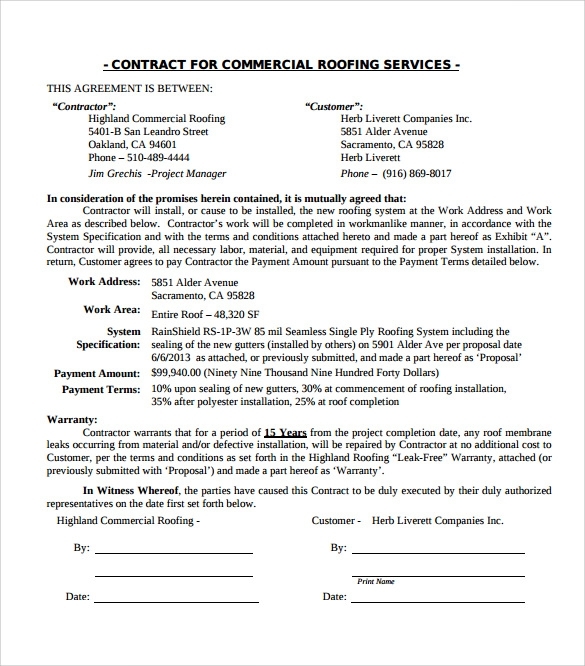 The roofing contractors and building owners uses these agreements to outline the terms of replacing, repairing or completing the project. 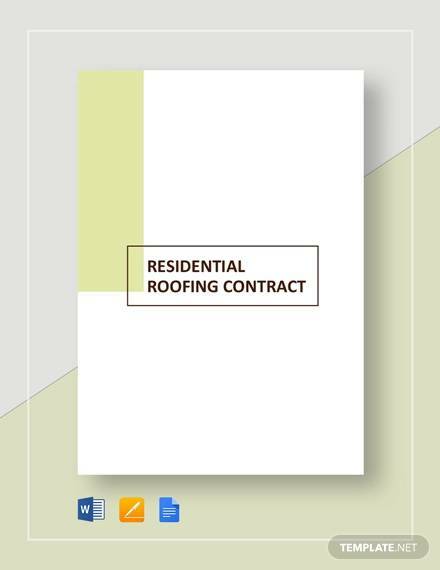 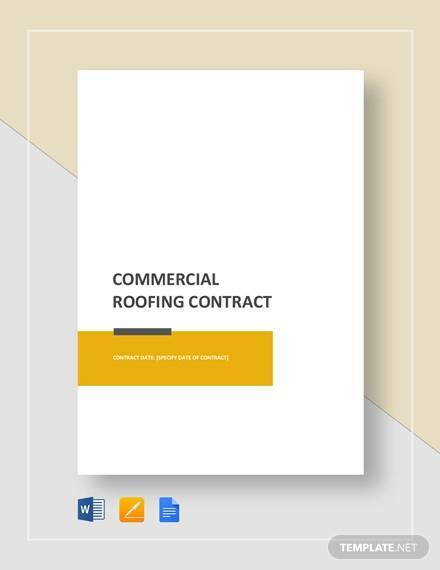 Now get a ready roofing Contact Templates that underlines all the needed terms for building owners and the Roofing contractors.